The Festival story begins in l907 when Messrs Paling & Co “with a view to stimulating local interest are giving a valuable gold medal to the competitor gaining the highest distinction at the Toowoomba Austral Musical Festival in November next…” Mr Harry Burge, their North Coast representative. took the medal to Toowoomba. After his visit, Mr Burge could see the importance and far reaching influences that such an annual function would have on his own district. He lost no time in bringing his ideas to the attention of Dr A J Cahill who practiced medicine in Coraki. 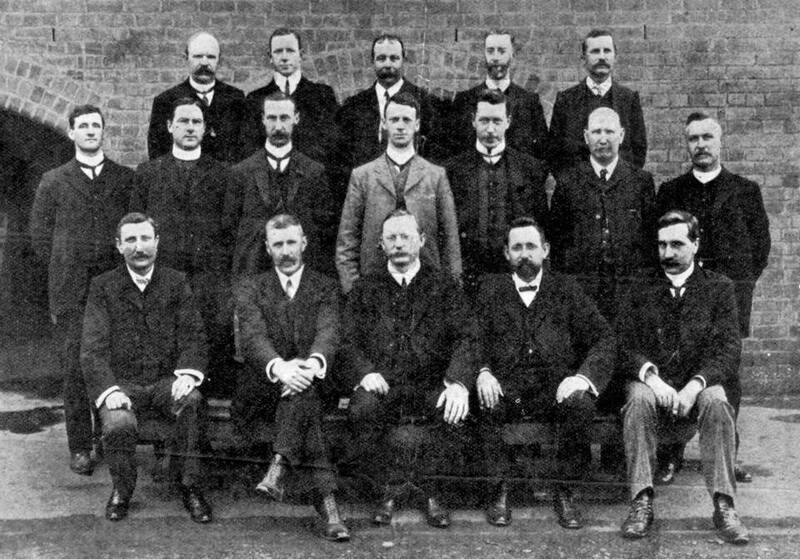 After many months of hard work, Alderman J Quilty, Mayor of Lismore called a public meeting and on February 27, 1908 the Lismore Musical Festival Society was formed. The Mayor was elected President. The first Musical Festival was held over four days commencing Sep 4th 1908 in the Recreation Grounds now Oakes Oval. Under the largest marquee in the Southern Hemisphere, lit by gas. The program consisted mainly instrumental items of piano, organ, string; vocal performances in solo, duet and choral. As well as drill, there were sections for action songs and of course the maypole dance. The type of dancing now associated with the Festival was not introduced until 1911. Two sections one for girls (Graceful Dance) and one for boys (Dance Highland Fling, etc). Now Dance is the major part of the Festival calendar. This year, 2018, three new dance styles have been added. Contemporary, Lyrical and Tap Dance with vocal, to the ballet, tap without vocals, jazz, song and dance, expressive and hip-hop. The main instrumental sections between 1908 were for piano and violin, now we have sections for piano, string, woodwind and brass; with Vocal sections for solos, duets, choirs large and small and a`capella. 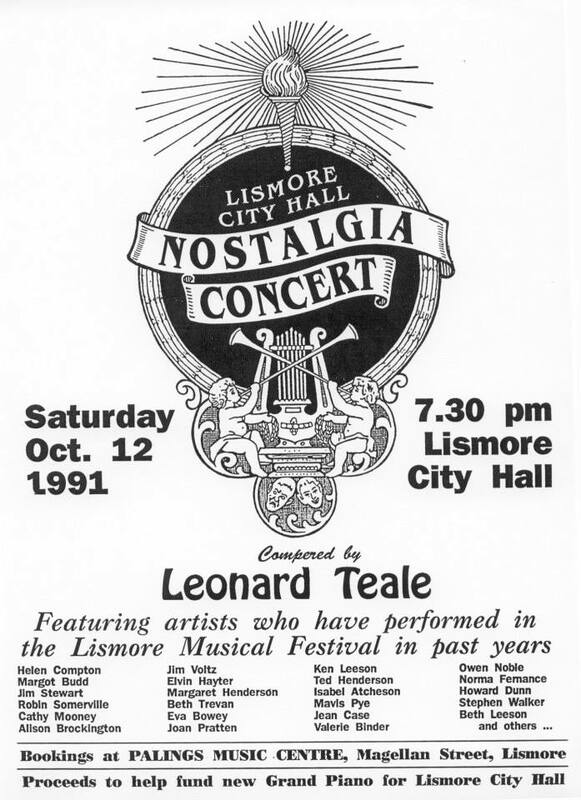 What is in a name – for a century the Lismore Eisteddfod was always called the Music Festival or the Festival. The tension between the names of Festival and Eisteddfod- is a challenge. It began life in l908 as a Festival of Grande Annual Competitions; in l911 the organisers were questioned why is it not called an Eisteddfod – the response – it has taken us this long to get it going we are NOT changing the name. These days, whilst we call it the` Lismore Eisteddfod` many still refer to it as `The Festival`, but with the support from competitors, sponsors and our wonderful volunteers, we will be continue to hold our `Grande Annual Competitions` or The Lismore Eisteddfod` in our search for the goal of EXCELLENCE. Fascinating insights into the Lismore Musical Festival/Eisteddfod are contained in the following books. Other details about the Society are in The Story of a North Coast City LISMORE edited by Maurice Ryan 1979.